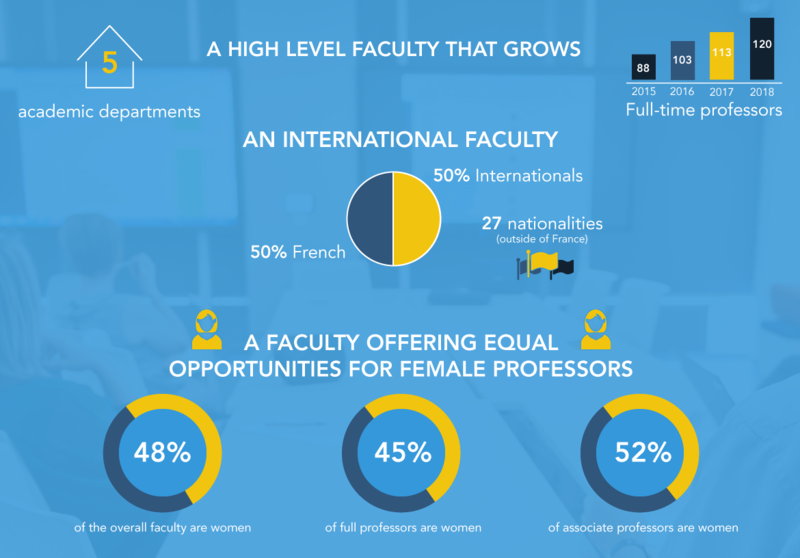 Audencia Business School relies on a team of 120 professors, whom half of them are international, from more than 25 countries. 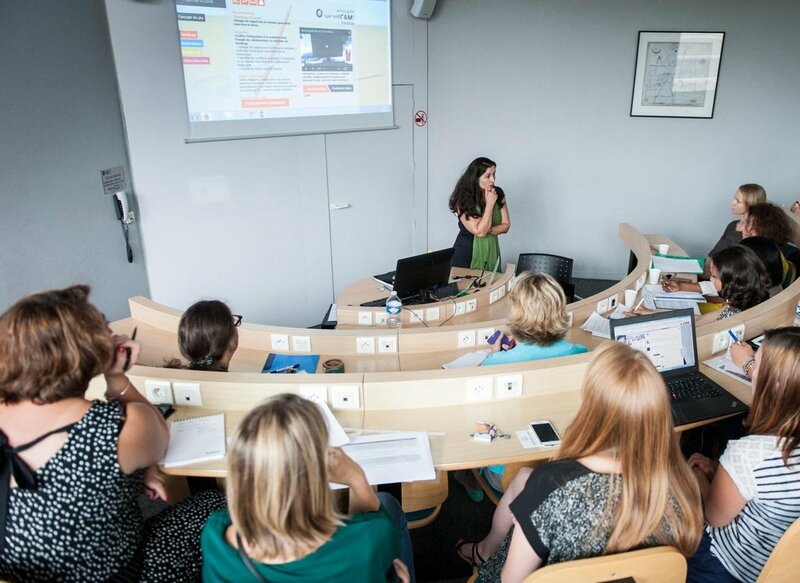 Initiator and pilot of the #NégoTraining initiative which consists of free training women at to wage bargaining, Audencia's academic and research direction is strongly committed to professional equality between women and men in its Faculty. This faculty is strengthened by an affiliated international faculty composed of international researchers recognized in their field, as well as by visiting professors for stays ranging of one month to one year to develop educational projects and research with Audencia Faculty. Audencia's strategic plan provides for the recruitment of many new faculty members in all management disciplines. By sharing their expertise, Audencia faculty members make critical contributions to the business community – and society in general. They interact regularly with economic stakeholders, working to identify concerns that inspire innovations and new research. 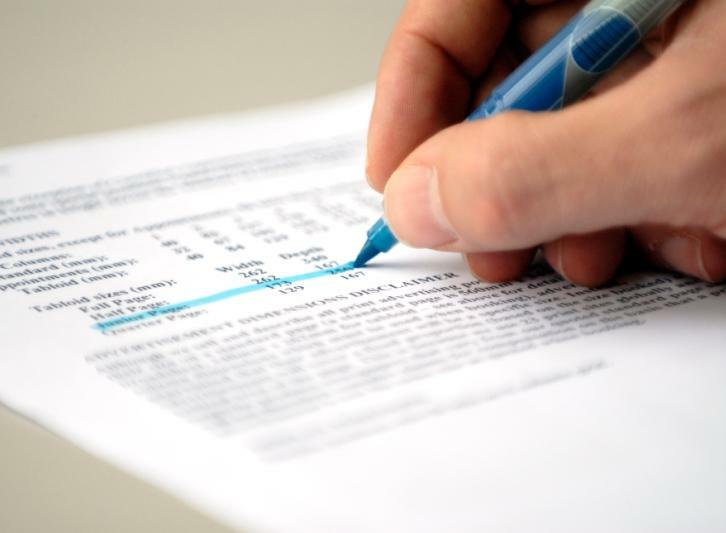 The work of Audencia’s faculty is published in internationally recognised academic journals and business publications, advancing theoretical debates and improving the best practices of business leaders around the world. We also integrate the results of our research into our curriculum, helping to train the next generation of innovative and responsible managers and entrepreneurs. Supporting the personal and professional development of each faculty member is a strategic priority for Audencia. Our "Research Thursday" seminars are just one of the ways we foster innovation and the exchange of ideas. To respond to complex issues, faculty members are encouraged to collaborate across disciplines, developing projects that leverage the expertise of management sciences, engineering, information and communication sciences, urban planning, law and more. This cross-disciplinary approach is also facilitated by the alliance between Centrale Nantes, Audencia and the École Nationale Supérieure d'Architecture (ensa Nantes), through which teams collaborate on topics including the city of tomorrow, the factory of the future and managing big data.